Whether you are planning to have an intimate wedding or an exorbitant one, Moti Mahal Banquet will surely match your unique choice, budget, and requirements. With a capacity of accommodating up to 120 in seating and 130 in floating, the venue has a cosy and comfortable interior for the guests. It also offers an in-house team of caterers that puts all the efforts to delight the guests with mouth watering multi-cuisine dishes. 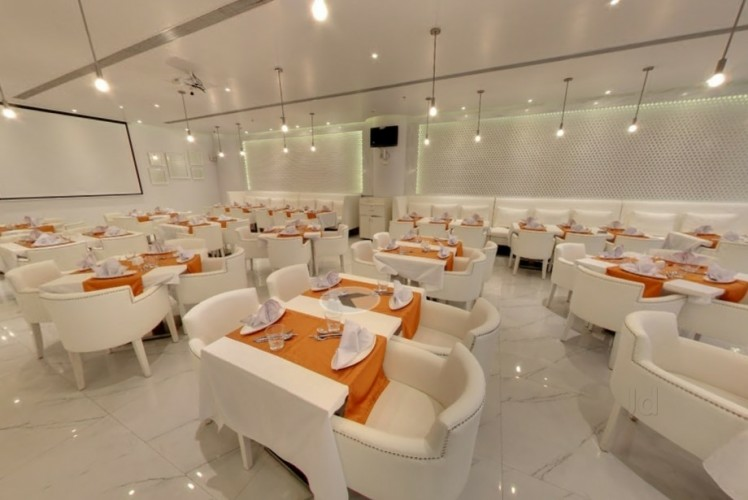 Known for its spices, Moti Mahal Banquet, is located in Vashi, Navi Mumbai. Its pillar less banquet with deem lights creates a perfect ambient for your function. If you are looking for an intimate wedding or small pre wedding functions you should definitely opt for Moti Mahal. The experienced culinary team at Moti Mahal will plan a delicious menu for your event and have the in-house decorators lovingly create the venue of your dreams. Venue doesn't allow outside catering. Venue doesn't allow outside decoration. Venue allows outside DJ. Plug in charges applicable. Venue allows outside alcohol. Corkage is applicable Venue is available in the following time slots: 11:30 a.m. to 4:00 p.m. Morning session 06:30 p.m. to 12:00 a.m. Evening session. Venue doesn't have changing rooms. Hotels available around the venue for accommodation of outstation guests: Four Points Hotel (1.7 km from venue): 150 rooms, average price double occupancy is Rs. 14,000 + taxes. *These are average rates and are subject to change. Venue has a parking of 40 cars. Valet is complimentary. Nearest station : Vashi Railway Station Landmark : Opp Vashi railway station, inside Fantasia park. Moti Mahal Banquet, Vashi, Mumbai is known for its spices, is located near Vashi Railway Station. The venue serves mouthwatering multi-cuisine delicacies to choose from in both vegetarian and non-vegetarian food to their guests. It gives you the freedom to get your own caterer from outside to serves your favourite cuisines to all your guests. The decor team takes care of the decoration for your big day allowing you to sit back to enjoy your function. It allows you to get your own decorator from outside to decorate the venue as per your requirements. It serves alcohol and also allows you to get it from outside for your guests. If you are looking for small functions like birthdays, anniversaries and pre-wedding functions you should definitely opt for Moti Mahal. Moti Mahal Banquet, Vashi, Mumbai offers valet parking service to their guests for their convenience.